Welcome to Anchor! 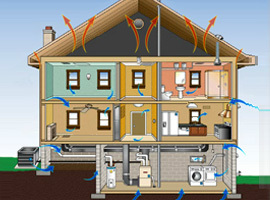 As you will learn, we are not your typical insulation company. We began when Fred B. Fiske opened a small “pipe covering shop” in his basement in 1980. With almost 200 employees in four branches throughout RI, MA and CT, our commitment is to impress our customers with quality work completed on schedule, within budget, and done safely. That commitment to exceed your expectations has generated success in serving customers in homes, buildings, power plants, schools, textile mills, pharmaceutical plants, cold storage facilities, LNG plants, marine vessels, incinerator plants, water treatment facilities and more. Daily, our estimators quote projects for our skilled installers to insulate with the best quality workmanship available in a broad range of applications. In our residential work, we install fiberglass, cellulose, thermal fiber, or spray foam insulation in applications from a small attic, to a huge condo complex or commercial building. 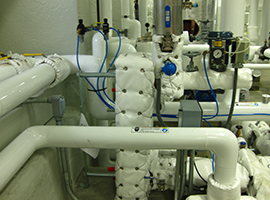 As a commercial insulation company we preform work on an array of applications such as: steam, chilled, hot water piping, cryogenic work, HVAC duct, tanks and vessels, valves, pumps, exchangers, turbines, marine engine exhausts, underground piping, kitchen exhaust, heat traced piping and many more. Noise control insulation work is also a specialty where we install absorber or barrier products to control unwanted noise. Additionally, our refractory workers are experts in linings for your furnaces, kilns, incinerators, reactors, and crucibles. 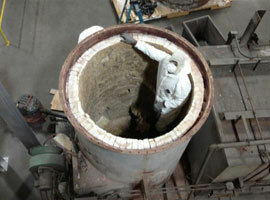 Our refractory workers also clean boilers, ducts, and breechings. The Anchor team’s unique depth of experience and diversification enables us to cover just about everything that comes up in the insulation world. Not only can we say we know how to do it, we can also provide references that say we did it well. We certainly hope you will call us and join that long list of satisfied customers. You will be glad you did. Anchor’s experts will be ready. If you find yourself in need of any of our insulation services contact us today and see the savings that Anchor Insulation can provide for you. We have crews that will travel throughout the United States to service our customers.